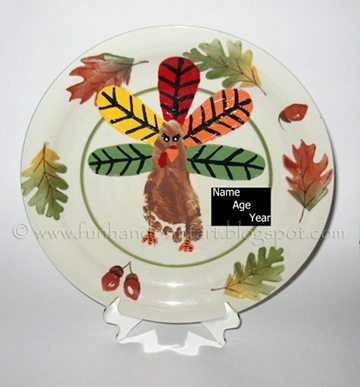 I found a fall themed plate at Dollar Tree & thought it would be cute to make something with my baby’s footprint on it. Of course this would look cute on a plain plate as well! 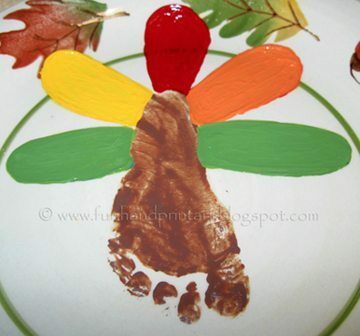 I decided to do a cute Footprint Turkey design to display as a Thanksgiving decoration and have as a keepsake for her to have forever. 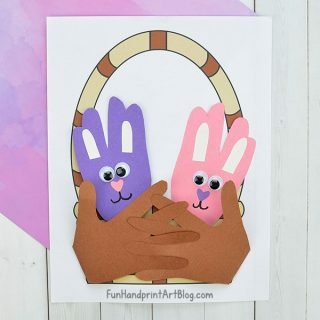 enamel paints- I use Folk Art Enamel Paint . I just have the primary colors + black & white; I mix them together to get the other colors. You can usually find them at craft stores. 1. 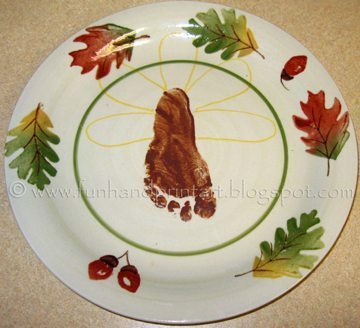 Paint the child’s foot brown and press down on the plate in the center. 3. 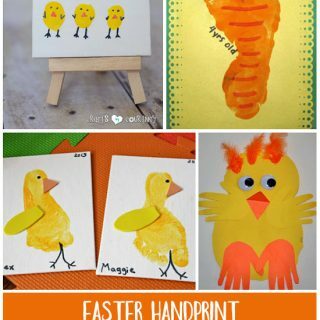 Using a washable marker, draw on a feather design that you like. If you are not happy with how it looks, erase the lines with a napkin, washcloth, or even a wet wipe of some sort and start over. 4. Paint in the feathers. 5. Paint as many coats needed making sure you let it dry between each coat. 6. Paint on the facial features and feet. I was trying to make the turkey look girlie by putting on eyelashes, but it turned out looking more mad than girlie. 7. Paint on any details you would like to add to your feathers. 8. 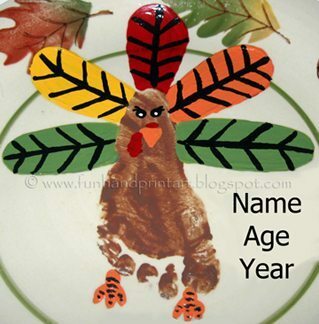 Place the child’s name, age, & year (optional). Linking up to these ongoing parties! Great Idea! Turkeys are special in our family because my youngest child came home from the hospital on Thanksgiving Day, so he is known as our little turkey. Another spin on this would be to use a dollar store clear glass plate. Paint on the back of the plate using glass paint, and you could then actually serve food off of it.